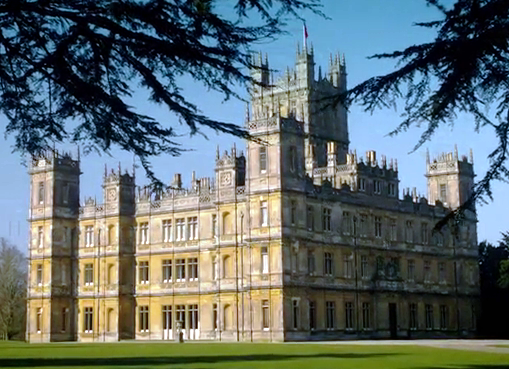 Life IS Downton Abbey; your home is your castle. The passing of time is constant, but you can certainly pack quite a great deal into a short time span as what we learned this past week. On Monday I shared our “Life IS Downton Abbey” story about closing up the family “Edwardian retreat“, which is being passed to a lovely couple who are excited to build their own memories there.We thought that last week’s trip would have given us closure, but we ended up making another trip to do one final clean up, but this trip felt more like moving day so less emotional since I have moved many times in my day. Quite coincidentally, an exquisite video appeared this week which encapsulates how a structure can hold such precious memories. 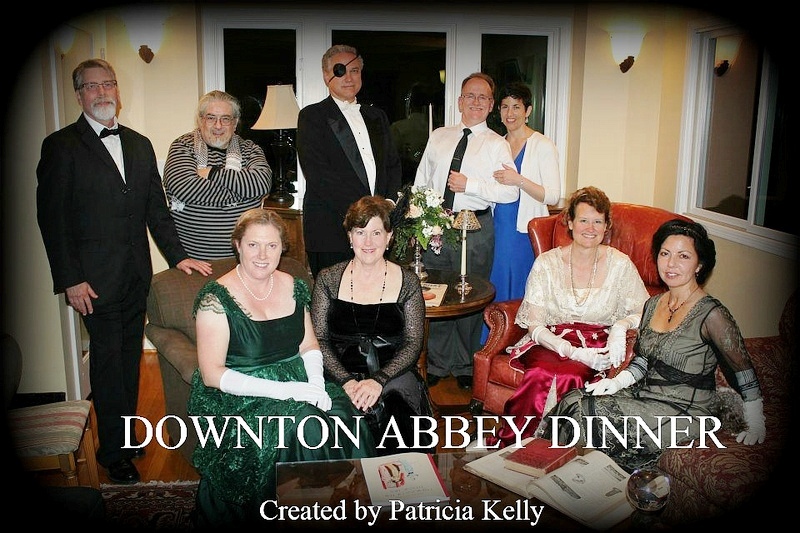 Since it was a busy week, I had planned to pass the torch today to a guest blogger, Patricia Kelly, our second winner of the Wentworth Hall book contest for the best hosted Titanic dinner. 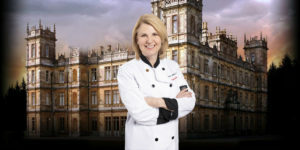 I first met Pat back in February through a comment to one of my first Titanic posts, eager to learn more about Hock wine for a Downton Abbey party she was planning. I believe I had suggested that with the 100th anniversary of Titanic coming up she should factor that into her theme. Well, months later and Pat’s pictures give us just a hint of all the research and planning that resulted in a wonderful home hosted dinner complete with footmen, her own chef, and a wine for each course (my favorite part). The gowns worn by the women were impressive. She even went the extra mile to provide a bibliography, which warms my heart as a researcher. It just goes to show that you can get inspiration from a wide variety of media: books, blogs, TV and movies. Congratulations to Patricia M. Kelly from Aptos California who will be receiving a copy of Wentworth Hall, courtesy of publisher Simon & Schuster. Over to Pat as she described her meal. 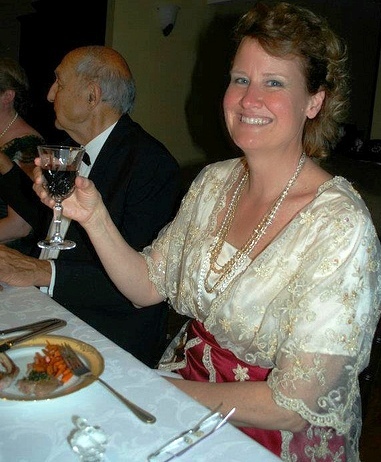 In April of 2012, an authentic eleven course Edwardian feast transported 15 friends, old and new, to the time of the Titanic. 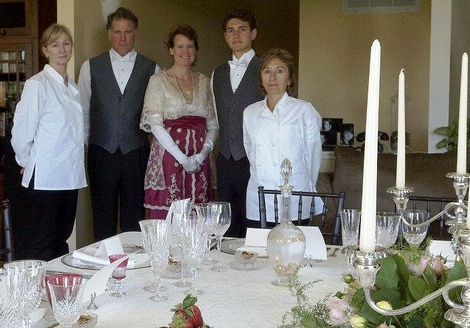 With one exceptional chef, her assistant, footmen, service a la Russe, period music, and eleven delightful guests, it was a truly magically evening. Over four months, we researched period food, wines, fashions, and customs of the period. Local businesses enthusiastically stepped up to source the right elements. It was truly a collaborative effort. Denise and I began planning the menu and selecting (and testing!) 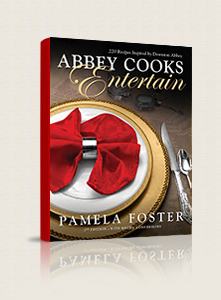 authentic recipes sourced from the Last Dinner on the Titanic, Escoffier and online research. To set an authentic table, I started with my great grandmother’s 1910 Havilland Limoges china, and then found china, crystal and silver from the period through local antique dealers. Party rentals and local flowers completed our table decorations. Guests, decked out in their Edwardian finery, arrived around five and admired each other’s gowns and “white tie”, while perusing period magazines, gazed through the Victorian stereo optics and listened to the Victrola configured to play period music of Caruso, Scott Joplin, Ravel and Debussey from a Mac computer. As it was not the custom, neither cocktails nor appetizers were served. Fourth Course, entrées, Filet Mignon with mushrooms in a port wine reduction and Duchess Potatoes: Divine! Champagne was served, as the entree was always served with sparking white wine back then. Our roast was rack of lamb and sautéed carrots. Burgundy was represented by a cabernet sauvignon. Lamb was chosen as a lighter “roast” for our modern diets; guests could select the number of ribs they liked. Seventh course, game, was squab with a fig sauce on wilted (water)cress. None of us had tried this red-meated bird. It was divine. Claret, red Bordeaux, was the accompaniment. Cold courses were combined in our eighth course with asparagus salad, champagne-saffron vinaigrette, and truffled pate with crouton. 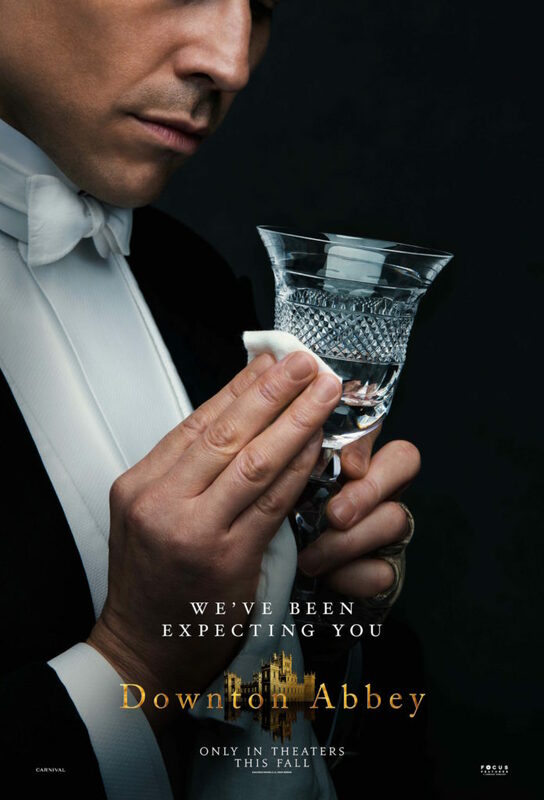 The three dessert courses were announced with the finger bowl ceremony: plates with finger bowls and warm water were brought in, with a dessert fork and spoon balanced on either side. Our guests were certainly too refined to use them, but it was fascinating to watch. Champagne and primrose jelly, our sweet dessert, was spectacular with its sherry-based aspic, decorated with fresh, edible pansy petals. 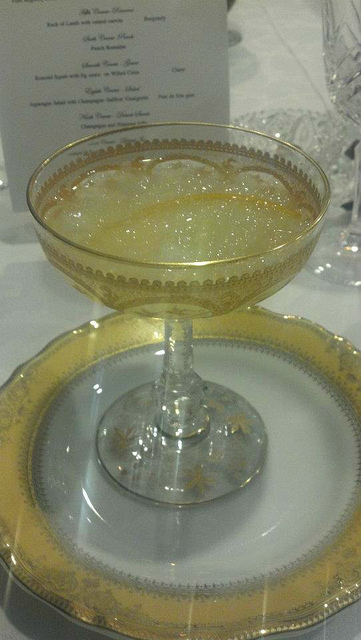 Our ice was the Titanic’s “Oranges en Surprise”, a delicious confection of sherbet and meringue. Tokaji was poured for dessert. Port was in reserve, but we did not get to it. And lastly, we passed around the table, cheese and biscuits, chocolate and strawberry éclairs, Turkish Delight and beautiful bonbons. As was the custom, the fruit that decorated the table was eaten for dessert. 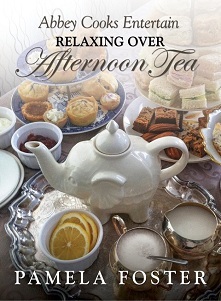 After five hours of conversation and dining, guests retired to the drawing room where coffee was served. A treat of the evening was watching chilled water poured over a sugar cube into Absinthe, turning the liquor a milky white. Alas our séance was postponed to another evening as our energy waned. 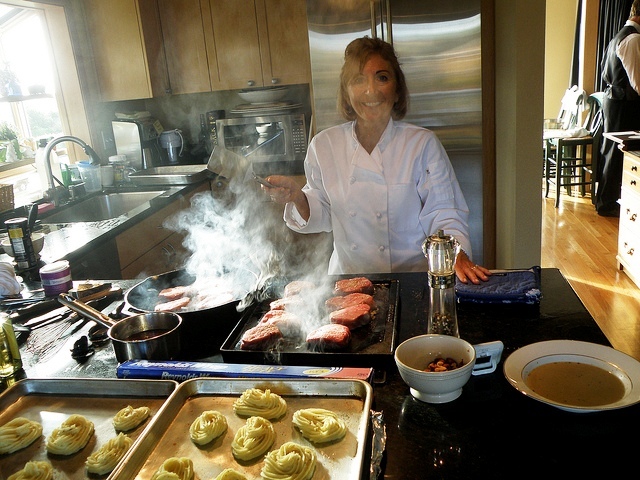 Our Chef, Denise Ward was perfection incarnate! Each of the courses was perfectly cooked and served by our liveried footmen who were learning on the job. The footmen presented an exceptional service a la Russe: each course was presented to guests on platters. (A few were plated.) 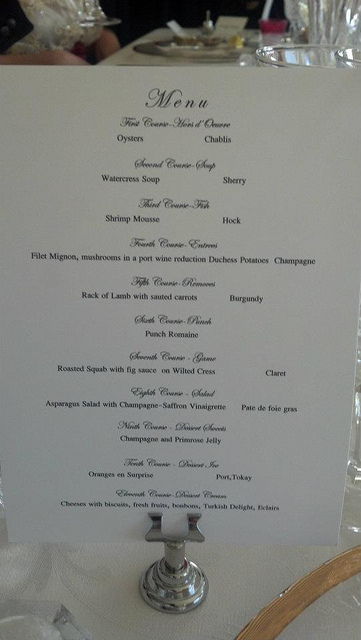 Each course was paired with a different wine of the period. In return, our guests flawlessly navigated the 6 pieces of stemware, 15 plates, and a dozen-plus pieces of silver (either by breeding or study before-hand, wink), and that doesn’t include the nut bowls, salts, knife rests and napkins! Mr. Carson was not kidding when he complains of serving dinner without proper staff and preparation: Two handsome (and tall!) strapping young lads were retained. The logistics of a service a la Russe with over 120 pieces of china, 180 silverware pieces, 66 pieces of stemware and serving pieces were carefully planned out over weeks. Instructions for the footmen, outlining wine service, china and silver placement, and service schedule was prepared; a complete run through was done on the day of the event. My living room became the dining room, the dining room the butler’s pantry and the kitchen off limits to all but the Chefs! I still can’t stop from smiling over the wonderful time had by all. Even the staff doing the “heavy lifting” felt it was a rewarding evening. I was truly touched by the time, effort and enthusiasm people brought to the project. Preparing the dinner was fascinating as I uncovered so many threads of history that carry through to what we do today, and what it must have been like a hundred years ago among society’s brightest stars. Archbold, Rick and Dana McCauley. Last Dinner on the Titanic: Menus and Recipes from the Great Liner. Toronto, Ontario, Canada: Madison Press Books, 1997. 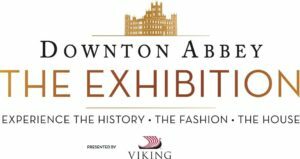 The Countess of Carnarvon, Lady Almina and the Real Downton Abbey. New York: Broadway Paperbacks, 2011. Escoffier, Auguste. The Escoffier Cook Book: A Guide to the Fine Art of Cookery. New York: Crown Publishers, 1941. Hockman, Hillary. Edwardian House Style Handbook, Cincinnati, Ohio: A David and Charles Book, 2007. Howard, Maria Willett. Lowney’s Cook Book. Boston: The Walter M. Lowney Co., 1912. Kander, Mrs. Simon. The “Settlement” Cook Book: The Way to a Man’s Heart. New York: Gramercy Publishing Company, 1903. Reprinted 1987. Martin, Judith. Miss Manners’ Guide to Excruciatingly Correct Behavior. New York: W.W. Norton & Company, 2005. Schollander, Wendell. 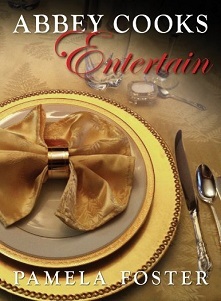 Forgotten Elegance: The Art, Artifacts, and Peculiar History of Victorian and Edwardian Entertaining in America. 2002. Bishop, Catherine. “Hairstyles and Headdresses of the Victorian, Edwardian, and Ragtime Eras”, Vintage Victorian (online distributor). Bishop, Catherine. “Vintage Dress Series: Fashions of the Titanic Era”. Vintage Victorian (online distributor). Me again. As you recall, the recipe I had picked out from Wentworth Hall was an apple raisin crumble pie. 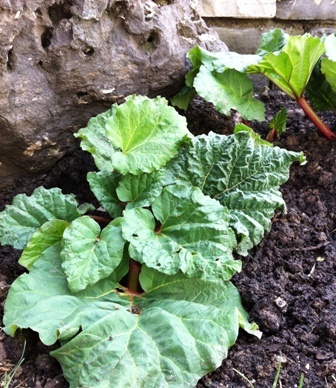 Today I am continuing with the pie theme and combining it with the rhubarb plant I brought home to transplant into our city garden. Yes, it is rhubarb season and look forward to more rhubarb recipes (we also have done a rhubarb cake), which was an Edwardian favorite. The trick with rhubarb is to offset the sour taste (which I love) with other fruits and sugar or sugar substitute. A crumble topping cuts the calories and gives you a bit of healthy fiber. Mix all dry ingredients together and then mix with rhubarb and strawberries. Sprinkle the nutmeg over the mixture. Bake at 425 degrees for 15 minutes. Then bake at 325 degrees for 45 minutes or till done.